Please join The Wright Family for EITHER the 11-mile family friendly bike ride OR walk a portion of the trail. Bring your helmet or your tennis shoes and a picnic lunch to enjoy afterwards. We’ll supply water and dessert. Contact jreichelt@yahoo.com to RSVP or for more information. 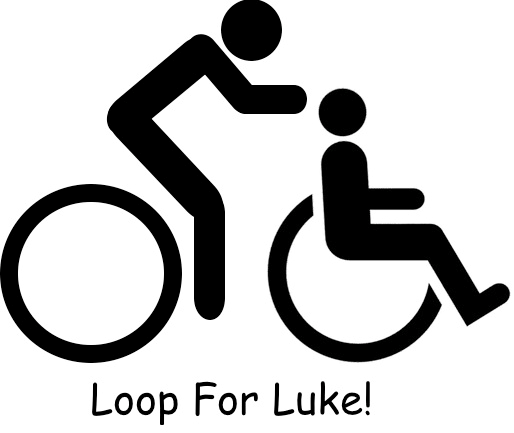 If you choose to donate to CSA, please make checks payable to Christianson Syndrome Association and send it to us by May 18th, or online (indicate Loop for Luke in comments section), or bring it with you to the event. All proceeds go to CSA. A virtual race is a self-motivated competition that is organized online where you complete a specific distance by running, walking or cycling on a date and time of your choosing, anywhere in the world. Virtual racing can be done on a treadmill at home or at the gym, at the beach, with friends, alone, in the evening, or at the break of dawn, it’s your choice. Once you sign up you just need to get out and Get Your Heart Beating and raise awareness for CS. Take lots of pictures and videos and submit them to us for posting on our website and Facebook page. Our Twitter and Instagram is #CSAHeartbeat. Several non-virtual events have been planned in Arkansas, Kansas, Houston and Toronto. 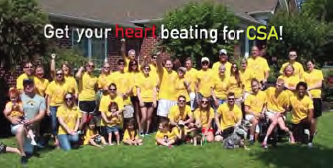 Our Get Your Heart Beating Events in Cypress, TX and in Kansas on May 5, 2018 was a great success! Thanks for your support! Show your support and honor our amazing children and their families who are dealing with this rare genetic disorder. We want you to become a part of our 2017 Get Your Heart Beating event! Thanks to all our participants we raised $11,000.00 in 2016 and have a goal of $20,000.00 for 2017. All you need to do is sign up and pay your race fee online and then you go run, walk, swim or bike. You can even create a team of friends, family or co-workers. Everyone will sign up online and then you all can get your heart beating for CSA! With a traditional run/walk or biking event you can arrive at a specific location on a specific date at a specific time. For our race, you start and complete your race on your course, take lots of pictures and videos and submit them to us for posting on our website and Facebook page. Our Twitter and Instagram is #CSAHeartbeat. How to sign up – Click the Registration link below and it will take you right to Constant Contact where you can register. Then, get your group together April 3, 2017 through May 31, 2017. You can run, bike, swim or walk your own race. Email your photographs to info@csa-cares.org with your name, your team’s name (if applicable), your race location, event and time. Just remember to have lots and lots of fun! We want you to become a part of our 2016 Get Your Heart Beating event! Thanks to all our participants we raised $8,000.00 in 2015 and have a goal of $25,000.00 for 2016. All you need to do is sign up and pay your race fee online and then you go run, walk, swim or bike. You can even create a team of friends, family or co-workers. Everyone will sign up online and then you all can get your heart beating for CSA! For those of you in the Houston, TX area, on Saturday May 7, 2016 the Nash family will be holding a Get Your Heart Beating Carnival at the Good Shepherd United Methodist Church in the Fairfield subdivision in Cypress. We invite all our Texas participants to come out, get your heart beating, and then enjoy a day of food, games and lots and lots of fun! How to sign up – Click the Registration link below and it will take you right to Constant Contact where you can register. Then, get your group together May 1, through June 12, 2016. You can run, bike, swim or walk your own race. Email your photographs to info@csa-cares.org with your name, your team’s name (if applicable), your race location, event and time. Just remember to have lots and lots of fun!